First aid at St Paul's receives a boost with addition of new deﬁbrillator. The donation of a piece of life-­saving equipment to St Paul's has given the Cathedral a huge boost in its ﬁrst aid oﬀering. 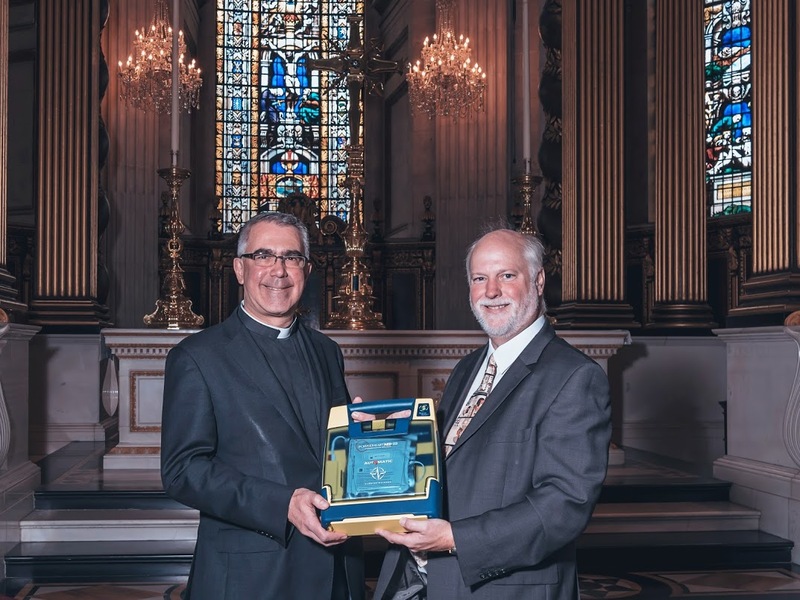 The brand-­new deﬁbrillator was donated to the Cathedral by Community Heartbeat Trust, a national charity dedicated to the provision of this technology into the community.